Q-Tips Cotton Swabs, 1875 Count Only $8.24! You are here: Home / Great Deals / Amazon Deals / Q-Tips Cotton Swabs, 1875 Count Only $8.24! For items that you use and buy regularly it makes sense to check out Subscribe and Save at Amazon. 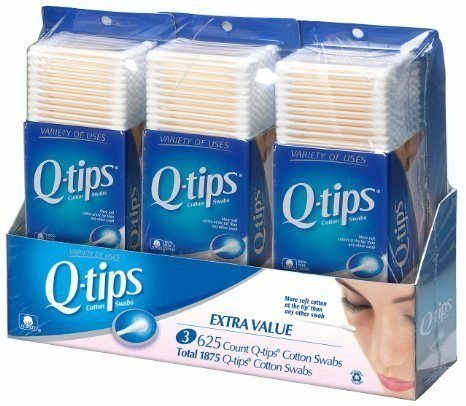 Right now these Q-Tips Cotton Swabs, 1875 Count can be had for Only $8.24! Currently priced at $10.99 there is a 20% coupon for you to clip. Plus when you Subscribe and save you get an additional 5% off! If you get 5 Subscribe and Save Items in the same month you get 15% off instead of 5% which makes this an even better deal! Once you sign up for Subscribe and Save you can quit at any time! This is great way to stay on top of your staple items and get them at a great price!